Okay, I’ll say it: When it comes to teaching my kids to ride a bike, I am a better parent than you are. You might have nailed down nutritious snack habits, taught your kids how to save their allowance, and had them prepped for the SATs by the time they were in first grade. But me? I got my daughter riding a bike by four-years-old without resorting to the worn-out, self-defeating crutch of training wheels. And my two-year-old is not far behind. He’ll be pedaling away within the year. How did we do it? Easy. The same way people developed the bike in the first place. Have you ever looked at a cup of coffee and asked, “Who was the guy who first picked these beans, roasted them, then soaked them in hot water until it turned black, drank this bitter mess, and said ‘Let’s do that again!’?” You could ask something similar of bikes: Who was the first guy to build a frame with two wheels, add pedals and gears to power those wheels, and then spent a month falling down trying to figure out the balance? Of course the answer is, No one did. 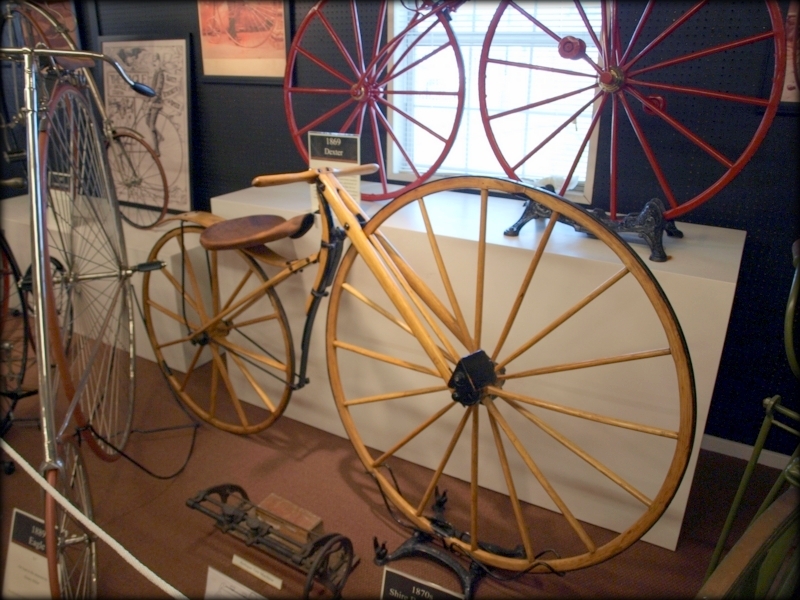 The first bikes had no pedals. You sat on the seat, pushed with your feet, and coasted when you could. The key, of course, is to teach BALANCE. And that’s why you need to get your kid a “balance bike.” We’ve talked about this before (here and here), but I still see kids out there trying desperately to learn the bike with training wheels. So why are training wheels bad, you ask? They don’t teach kids the fundamental ability they need to acquire to ride: balance. They teach kids how to get on the bike and pedal fast. Later, when the training wheels come off, they have the confidence to dive into riding but still have to learn balance. It’s backwards. A balance bike, on the other hand, has kids coasting around and balancing naturally�as a parent, all you have to do is show them the bike. Then, once they decide they want to go faster, you move them up to a bike with pedals. There might be a transition at this point (I had to run behind Grace two times; then she just figured it out). We tried this “method” first on Grace, but to determine it wasn’t a fluke, we stared Tater on a balance bike at two. As soon as his legs were long enough, he jumped on and hasn’t gotten off since. When he’s on his bike, the world has no obstacles. He’ll ride down the stairs of our deck (they’re pretty shallow stairs), we’ve had to teach him not to ride into the house. I even watched him coast (balancing, mind you) backwards down our driveway. I can’t even balance this good! 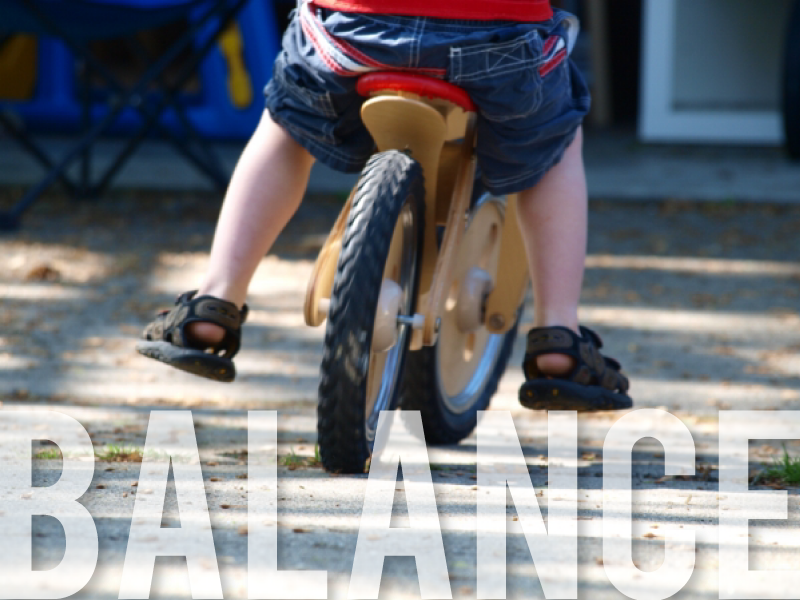 I hope you’ll forgive my tongue-in-cheek at the beginning and give the balance bike a try. It’s for the kids!